There’s a trope known as “award bait” wherein a movie or film will write a character with a mental illness to try and win an award, and it’s called this for good reason. A study by Peter Bryne found that 10% of all the 317 Academy Awards between 1929 and 2009 were awarded to films depicting a character with a mental disorder. This sounds like a really good thing, right? A famous literature review by Dara Roth Edney found that “the media is the public’s most significant source of information about mental illness” – and if all these award-winning films are representing people with mental illness, then surely we have an empathetic and well informed public! A recent study of more than 40 films released between 1990 and 2010 found that over 80% of main characters with a diagnosis of schizophrenia displayed violent behaviour, and nearly a third engaged in homicidal behaviour. In actuality, most people with schizophrenia will never behave violently, and they are 14 times more likely to be the victim of violence than the perpetrator. The exception to this rule? 10% of those with schizophrenia end up taking their own life. Is your character a rebellious free spirit who plays by his own rules and spits in the face of authority? Instead of adding any nuance, just slap a mental illness on them, because what could be kookier or more non-conformist than being medically unwell. Why just look at the lovable rogues in these films: A Love Story (1992), The Dream Team (1989), Nuts (1987), Down and Out in Beverly Hills (1986). Or perhaps to titillate your audience you need to create a figure of fear? Well, what better way to make a character terrifying than by giving them a dehumanising mental illness. Just a few films that have opened this trapdoor are: Hannibal (2001), Dark Asylum (2001), American Psycho (2000), Freak (1999), Kiss the Girls (1997), Seven (1995), Silence of the Lambs (1991) and Psycho (1960). Everyone loves a funny character, someone wacky that’ll really make your audience belly laugh…well do I have the mental illness for you, seen in such films such as: Analyse This (1999) and Analyse That (2002), Bandits (2001), Me, Myself and Irene (2000), Something about Mary (1998) What About Bob? (1991) Down and Out in Beverly Hills (1986). And what better way to show a woman helpless and ripe for saving than giving her a mental health problem? Why, it worked just fantastically for films such as Crazy/Beautiful (2001), Don’t Say a Word (2001), Sybil (1977) and Girl, Interrupted (1999). …Speaking of Girl, Interrupted, saving a “helpless women” isn’t the only male fantasy…men also like to be seduced. So, for a sickeningly seductive inpatient that just can’t wait to get busy with her therapist, check out: Swimfan (2002), Poison Ivy I, II, and III (1992, 1995, 1997), The Hand that Rocks the Cradle (1992), Fatal Attraction (1987), Dressed to Kill (1980), Lilith (1964), The Three Faces of Eve (1957). This kind of warped representation of people with mental illness both shapes, misinforms and reflects back society’s perception of mental health. And this misinformation costs lives. 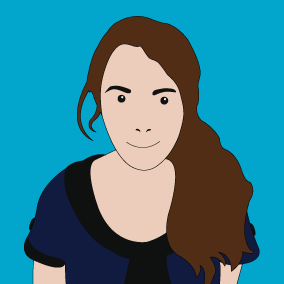 So how can digital learning help? We need to change the way we think about mental illness; we need to unlearn what we think we know about mental health and see what it’s like in real life. Digital learning, when it’s done right, can have a similar transformative power to film. It can change minds, change behaviour and, by doing this, change lives. 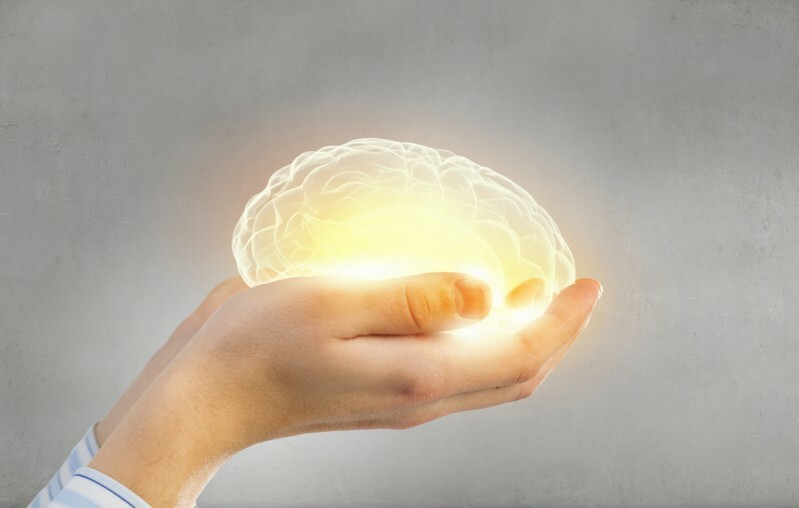 Here at Saffron we take a behavioural approach to our learning strategies (which incidentally is the most effective method of treatment for all neurosis-spectrum disorders). We immerse the learner in situations where they are faced with dilemmas and need to act. The behavioural approach works by dismantling any preconceived notions the learner has, and guiding them to reflect on the consequences of decisions, see the alternatives, and reflect on the outcomes. Using positive and negative reinforcement and creating emotional investment and accountability can have a transformative effect; leading to sustained and positive behaviour change. 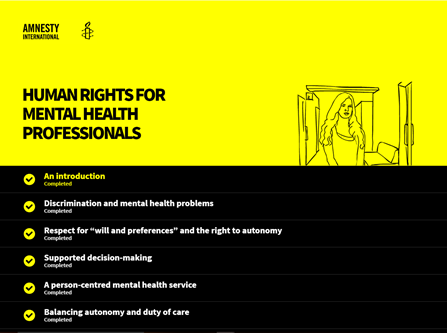 Our course for Amnesty International, for example, focused on humanising mental health patients. The strategy was simple: present them as people. Not saviours, or psychos, or seductresses, just normal people with friends, jobs and hobbies, who you love, care for and are occasionally annoyed by. The course takes you through the life of several characters, showing them shopping, working, and engaging in all the minutiae of everyday life. Whilst this might not make as thrilling a plot as “schizophrenic psycho clown”, what it does do, is create a connection between the learner and the character, and works on inspiring empathy, identification and humanism instead of fear. 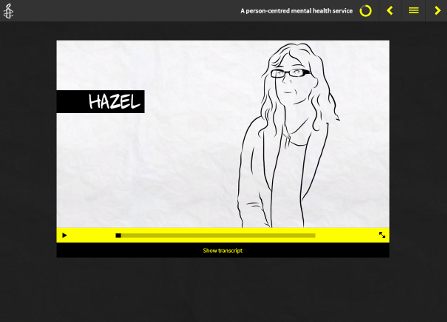 This careful humanising approach allowed Amnesty International’s mental health professionals to help break down stigma. These were professionals, familiar with what’s at stake, but even they need reminding that there’s a person behind every story or statistic. Another initiative we created concerning mental health, one that we’re particularly proud of, is the campaign we ran to make maternal mental health Everyone’s Business. A web-based approach alongside the team at Everyone’s Business sought to tackle an issue that flies under the radar, despite as many as 9-16% of women in the UK experiencing postpartum depression at some point. Eight months after the campaign was launched, the UK government allocated £75 million of new funding to maternal mental health. This is evidence that real awareness driven by accurate portrayal of mental health issues does lead to results. By avoiding the shallow sensationalism that’s so prevalent in everyday media, digital learning can work to transform not just the way people think about mental health issues, but also how they act towards the people affected by them, and ultimately change the law. 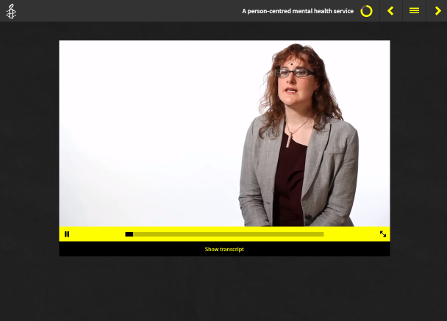 It can highlight how those suffering from mental health issue are people, not just patients.